Something new to think about for your walls. 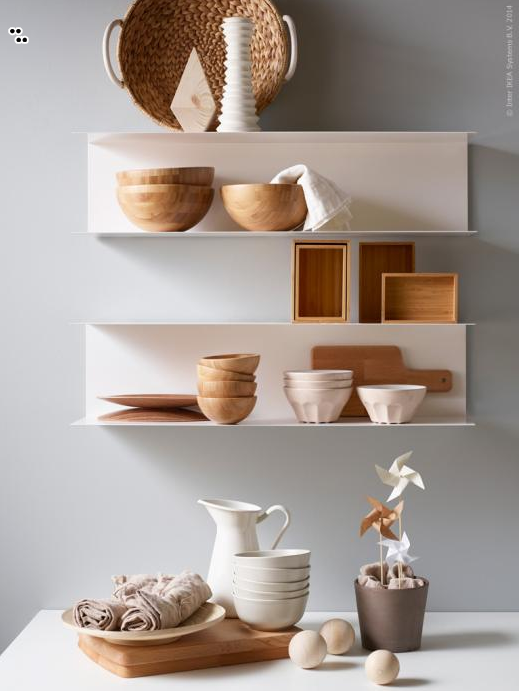 IKEA is introducing these BOTKYRKA shelves in February and we're loving their simple contemporary design which are made of powder coated steel and can carry up to seven kilograms (about 15 pounds). A rail on the back makes it easy to set up and (as my translator tells me) "convinced invisible". 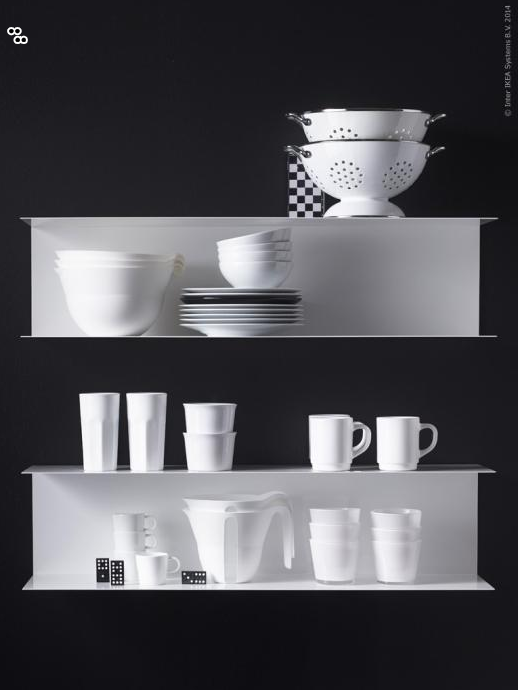 BOTKYRKA wall shelf comes in three colors: white, dark gray and a sunny yellow! Via Livet Hemma. Wow do those look great! Really would fit well in any styled home/apartment. Thanks for sharing - cant wait to get my hands on a couple of them! These shelves are just darling! We are moving into a new, smaller apartment next month and the timing couldn't be better. I imagine two of these near our kitchen showcasing a small collection of our entertaining glassware (champagne flutes, red wine glasses, scotch snifters, etc). The color is just perfect too. I love powder coated EVERYTHING! These are really nice - and what a joy that they are from IKEA. I must see if there's room for one or two in our home. I think your translator has let you down a bit. The words "beslagen osynliga" means that the brackets are invisible.